How does one seduce a bride? 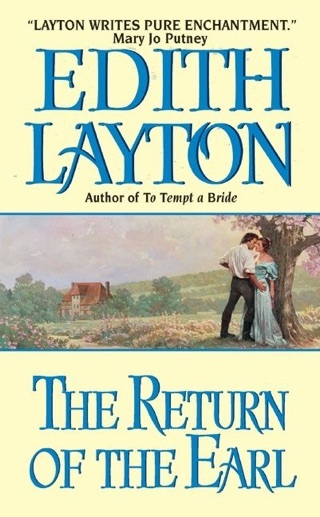 Layton's satisfying finale to her popular Botany Bay series reunites readers with familiar characters and brings well-deserved love into heroine Daisy Tanner's life. Expecting freedom after the death of her wicked husband, Botany Bay prison guard Tanner, Daisy realizes that a single woman, especially a wealthy young widow, is not free in 19th-century Australia. So she leaves New South Wales for England, hoping to marry the widowed Geoffrey Sauvage, earl of Egremont. Because Geoffrey is twice her age, Daisy assumes he will care for her "like a father or a friend," a welcome respite from the brutality Tanner inflicted on her. Geoffrey graciously welcomes Daisy but has no interest in marriage; he charges his best friend Leland Grant, the mischievous, debonair Viscount Haye, with instructing Daisy in the ways of the ton so that she can "find a good man to take care of her." Leland, suspicious of Daisy's motives toward Geoffrey, wants to protect his friend from betrayal but as they become closer, it's Leland who courts betrayal by losing his heart to Daisy. Layton is an expert craftswoman, proved once again by tight plotting, sprightly dialogue and very human characters.